Conflicts among pastoralists, farmers and other land users are a major hindrance to food security and overall sustainable development for the communities in Tanzania’s Kiteto District. Over the years, the scramble for land and water resources has often led to serious conflicts between herders and farmers, some of which have been fatal. Sustainable rangeland management is critical in securing grazing land for livestock keepers. 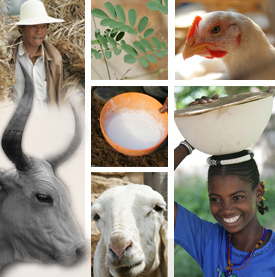 Since 2010, the Sustainable Rangeland Management Project (SRMP) has been working with local and national authorities to secure rangelands for pastoralists, agro-pastoralists and smallholder farmers through joint village land use planning and land certification including the provision of group Certificates of Customary Right of Occupancy (CCRO). Since its inception, the project has assisted nine villages to prepare village land use plans and supported the piloting of a joint village land use planning process across four villages in Kiteto District, Manyara Region, protecting a shared grazing area. Now in its third phase (2016–2020), the project is scaling up the joint village land use planning model in several new clusters of villages in Kiteto and expanding the approach to new districts. A key strategy of the project is to communicate results to positively influence uptake and scaling up of the processes it supports. Through the SRMP project, positive strides have been made in using village land use planning as a strategy to secure rangelands. Key achievements, news, events and publications from the project have been compiled in two project newsletters to document progress. Participatory work for rangelands land use rights (photo credit: ILRI/Fiona Flintan). The expansion of the joint village land use planning process in Kiteto District from the original three villages – Olkitikiti, Lerug and Ngapapa – to four. The relaunching of the SRMP national technical working group which plays an advisory role of guiding the strategic direction of the project. A study tour for the SRMP partners, to Cameroon to learn about innovative practices and tools to reduce land use conflicts between farmers and pastoralists. National dialogue on the ‘future of rangelands in Tanzania’. Read the first and second editions of the project’s newsletter to learn more. 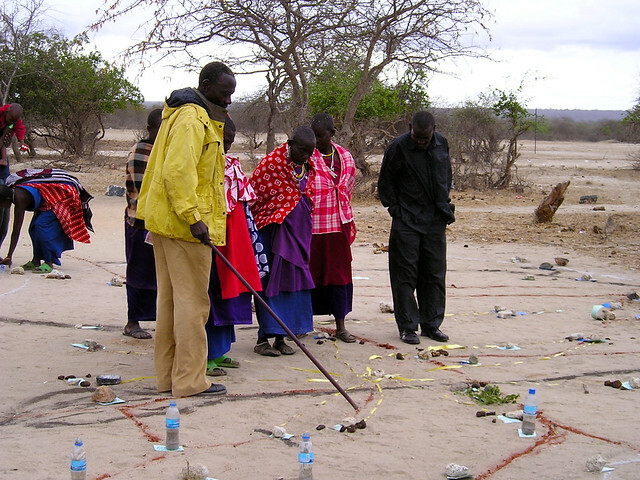 The Sustainable Rangeland Management project is implemented by the Ministry of Livestock and Fisheries, Tanzania, the National Land Use Planning Commission, the International Livestock Research Institute (ILRI), and local civil society organizations. It is funded by the International Fund for Agricultural Development and Irish Aid through the International Land Coalition (ILC). The project contributes to the ILC’s national engagement strategy which is coordinated by the Tanzania Land Alliance. Tags: IFAD, ILC, Irish Aid. Bookmark the permalink.